TheCarConnection.com recommends you drive both the 128i and 135i before you buy so that you know whether you want to pay for the extra power of the twin-turbo engine. It's easy to option up a 2008 BMW 1-Series to the levels of BMW's larger 3-Series, so sample both before your pen hits the paperwork. The 2008 BMW 1-Series makes a true Bimmer available for under $30,000 (but just barely). TheCarConnection.com's editors read the latest reviews on the new 2008 BMW 1-Series to write this comprehensive review. Experts from TheCarConnection.com also drove the BMW 1-Series in Sweden, Spain, and the United States to offer you a definitive opinion on the Bimmer. Additionally, this review compares the 2008 1-Series with other cars in its class to give you the best advice even when other reviews present conflicting opinions. For BMW, 2008 is the year the company returned to its roots. 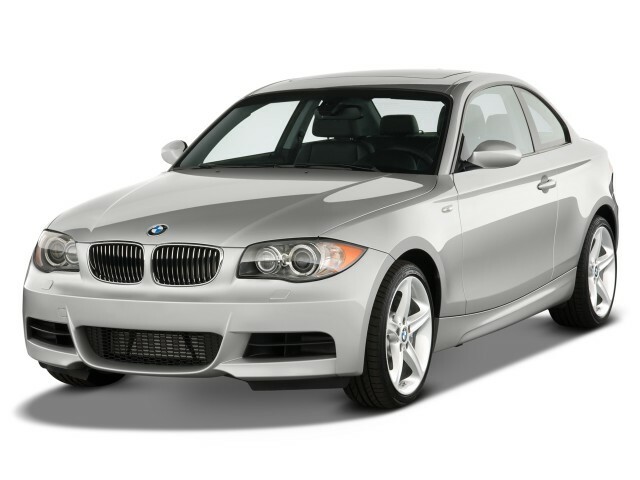 The 2008 BMW 1-Series hearkens back to BMW's legendary (but back-to-basics) 2002 models from the late 1960s. BMW recognized that the maturation of its traditional models left a gap at the low end of its product line in the United States and has now seen fit to plug it. 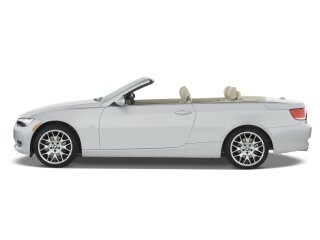 The cork is the 2008 BMW 1-Series, offered in coupe as well as convertible forms. The 2008 1-Series is offered as 128i and 135i models. 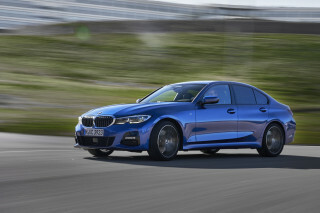 The main difference is the engine; the 128i uses a non-turbocharged 230-horsepower version of the 3.0-liter inline six-cylinder, while the 135i provides 306 horsepower from its twin-turbo version of the 3.0-liter six (both engines are also found in 3- and 5-Series models). Six-speed manual and automatic gearboxes are available. While the 1-Series is sized smaller and less expensive than the popular 3-Series, it could be argued that it's neither small enough nor cheap enough. Regardless, the 2008 BMW 1-Series handles well, steers beautifully, and functions nicely as a 2+2. The compact folding mechanism of the convertible's soft top even ensures that there is usable truck space with the top down. The exterior of the new 2008 BMW 1-Series is hit-and-miss, but few can argue that the interior sports a wonderfully functional and well-styled cockpit. The 2008 BMW 1-Series features BMW's trademark styling both inside and out, but some reviewers took the German automaker to task for the carâ€™s somewhat stunted proportions. At BMW, 2008 is the first year for the 1-Series in the United States. ConsumerGuide writes that the "line is new to North America, and the lineup includes 128i and 135i models." Either the 128i or 135i is available as either a coupe or a convertible; no sedan is on offer. In reviews read by TheCarConnection.com, one thread that seemed to run throughout was that the new BMW 1-Series, whether it's the 1-Series convertible or coupe, is a car you have to see in person to appreciate. Autoblog captures this sentiment by saying that "the styling language of the new 1-Series coupe is more attractive in person than the press shots." BMW says that the basis for the 1-Series' styling was the old BMW 2002. While some styling cues from that Bimmer of the past are readily discernible, Road & Track suggest that the 1-Series' "execution is more in tune with E36-based [1990s] coupes, the two-generation forebear of the current 3 -Series." While generally giving their approval of the look of the new 1-Series, Road & Track additionally noted that the "long-hood, tall-roofline, short-rear-deck profile projects an odd, almost ungainly proportion from some angles." It's fair to say that exterior look is divisive; for everyone who likes the littlest Bimmer's styling, there's another who is turned off. The latter camp includes Cars.com, which calls the 1-Series "awkward" and says the "bulbous shape of the rear part of the passenger area" is surprisingly "out of tune with the rest of BMW's very sleek-looking lineup." They say that the "1 Series isn't overtly striking in the visual department," and that in many ways it "seems hum-drum...even in sporty 135i duds." Inside, the 1-Series styling is traditional BMW: upscale and clean. Forbes raves about the coupe's inner trappings, finding it to be "simple and tastefully styled, crafted from premium materials and with instruments that are well positioned within sightlines." Popular Mechanics feels the same way about the interior of BMWs 2008 135i, commenting that it's "nearly identical to the 3-Series," a car that reviewers and customers alike have stamped with their approval. The car's small dimensions also mean that few instruments are ever out of reach for the driver. ConsumerGuide writes that although the "audio and climate controls are mounted somewhat low," their controls remain "easy to reach and simple to decipher and adjust." The new 2008 BMW 1-Series easily lives up to BMW's sporty performance legacy, and the car moves very quickly, especially with the more powerful twin-turbo 3.0-liter engine found in the BMW 2008 135i variant. Motivating the all-new BMW 1-Series is either a 230-hp engine on the 128i models or a similarly sized twin-turbo inline-6 rated at 306 hp in the 135i. Regardless of trim a six-speed stick-shift is the standard gearbox, while a 6-speed automatic that includes manual shifting is optional. While the engine on the 128i is decently powerful, it is asked to move a car that weighs upward of 3,500 pounds. Despite the car's heft, Car and Driver writes that it found the 1-Series to be "pretty quick, taking an estimated 6.4 seconds for the 0-to-60-mph run equipped with the fluid six-speed manual." Also, it is worth noting that the Car and Driver reviewers were driving the BMW 2008 128i Convertible, which is significantly heavier than the 128i Coupe. For those seeking out a serious performance car, the 135i features a twin-turbocharged inline-6 that, per reviews read by TheCarConnection.com, moves the car to 60 mph in less than 5 seconds. Road & Track writes that the 135i in particular "has amazing pulling power" and can give "new meaning to the term 'pocket rocket.'" 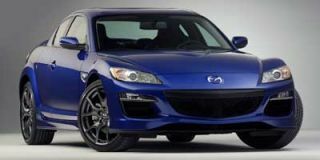 Popular Mechanics also notes that "the flip side of all that high performance is usually poor fuel economy. Not here: BMW estimates 30 mpg on the highway." The official government fuel economy estimates for the 1-Series come in at 18 mpg city and 28 mpg highway on the 128i and the 135i is rated at 17 mpg city and 25 mpg highway. Aside from the impressive engine performance, the 2008 BMW 1-Series also sports impressive handling, even in the 1-Series convertible. Popular Mechanics finds that, on a race course, "the steering, typical of BMW, [is] sharp and quick to react." ConsumerGuide agrees, saying that "BMW's legendary handling capability carries over to the 1-Series." They say that even the base model "exhibits little body lean in fast turns." Edmunds heaps on more praise, saying that "body roll is minimal, and overall grip on models fitted with the sport package is superb." All models feature exceptional brakes that hold up well under heavy use. The folks at Kelley Blue Book raved about the "huge front brakes that not only slow the small coupe with ease but also look great" when fitted to the 135i. The 1-Series' ride quality depends on trim level and options, but it's not terribly surprising. In full sport trim, the 135i delivers a firm ride compared to a softer base 128i. ConsumerGuide says that "the tested 128i convertible [rides] surprisingly well, easily soaking up smaller road blemishes and pavement heaves." However, selecting the 135i delivers a "sport suspension and 18-inch tires, a combination that reacts much more sharply to bad pavement, yet never feels harsh." A surprisingly smooth ride with minimal road noise, even on the convertible, combines with a high-quality interior to make this 2008 BMW 1-Series a classic BMW. Any car that features the BMW logo must live up to lofty expectations in terms of comfort and handling, and TheCarConnection.com finds that the new 2008 BMW 1-Series comes ready to impress in terms of comfort and build quality. Regardless of roof, the 1-Series is capable of seating four. While it may seem like a stretch on a car the size of the 1-Series, ConsumerGuide found that the front offers "ample room for adults on comfortable seats" and the rear sports "enough headroom and legroom for an average-size adult to sit behind another average-size adult." The small dimensions of the 2008 BMW 1-Series catch up to it eventually, however, as ConsumerGuide also notes that "any front-seater over six-feet tall will delete rear legroom behind them," and "elbow space is very tight in the coupe and even less in the convertible" for rear occupants. The Kelley Blue Book reviewers characterize the rear seating of the 1-Series as "comfortable but cozy." Motor Trend aplauids the 1-Series' itnerior storage space, taking particular notice of the fact that the convertible's folding fabric roof when folded doesn't take up "too much trunk space." Hardtop bodystyles of the 1-Series have a 10 cubic foot trunk that features rear seats capable of folding to accommodate larger items. Aside from cargo room, there's limited small storage space to be found on the 2008 1-Series, as ConsumerGuide reports that "interior storage is limited to a small glovebox and smaller console box, along with a tiny console bin and map pockets." Material quality hasn't ever been a major issue in BMW's cars, so it comes as little surprise that the 1-Series' interior is well-constructed. ForbesAutos says that it appreciates the fact that the car's interior is "crafted from premium materials," and Kelley Blue Book finds the "interior treatment of the 1 Series is anything but cheap." And Edmunds agrees, saying that "despite being the cheapest BMW sold, the vehicle's interior materials are consistent with its larger and more lavish siblings." One dissenting opinion comes from Cars.com, which finds that on BMWs 2008 1-Series "the leather is less luxurious" and that the "plastic also seems to be a lower grade in a few places" versus that found on larger BMWs. 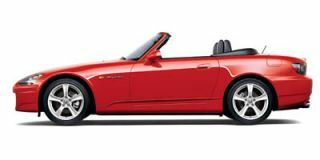 However, solid quality helps deliver limited road noise, which ConsumerGuide notes is "well checked," and "top down, the convertible requires only slightly raised voices at highway speeds." Automobile notes that the "frameless windows let in no wind noise." The 2008 BMW 1-Series comes loaded with a safety features, but crash tests aren’t in yet. While the 1-Series has not yet been crash tested by either the National Highway Traffic Safety Administration (NHTSA) or the Insurance Institute for Highway Safety (IIHS), BMWs have a long tradition of scoring very well in a variety of safety and crash tests, and there's little reason to think that BMWs 2008 1-Series will prove an exception. Even the base version of the BMW 1-Series comes loaded with safety features, some typical and some innovative. Kelley Blue Book takes time to point out that the 1-Series iincludes "standard front, front-side and side-curtain airbags, anti-lock brakes, stability and traction controls." However, many reports read by TheCarConnection.com referenced a nifty little addition to the safety features list on the 1-Series: a system that automatically dries the brakes during wet driving conditions. ConsumerGuide appreciates these touches, such as an "antiskid system, tire-pressure monitor, [and] daytime running lights," that add to the safety credentials of the new 1-Series. ConsumerGuide also says that on the 1-Series, "thin pillars in the coupe provide fine visibility to all directions, though wide front headrests can get in the way when backing." Visibility is expected to decrease on convertibles, and here ConsumerGuide writes that the top on the 2008 BMW 1-Series convertible will "sacrifice visibility to the rear corners and directly astern." The 2008 BMW 1-Series comes well appointed even in base models, but beware skyrocketing options prices and the GPS navigation with iDrive. While the 2008 BMW 1-Series comes with a long list of standard features, the options list is similarly impressive, though the price jumps quickly once those options boxes are checked. The two variants of the 1-Series, the 128i and 135i, include a similar standard features like air conditioning w withautomatic climate control, as well as remote keyless entry and a power sunroof for the coupe, while the droptop features a power convertible top. The only difference in standard features on the BMW 2008 135i are listed by ConsumerGuide as "wood interior trim" and "steering-linked adaptive xenon headlights w/ washers," along with its more powerful engine. Reviews read by TheCarConnection.com generally praised the features of the new 2008 BMW 1-Series, but also noted the significant impact that optional features had on the price of the car. ForbesAutos reports that the 1-Series "comes well equipped with most essential amenities, including an input jack" for iPods and other devices, but they also state that "ordering [navigation] can actually make the car less user-friendly, as it comes with BMW's... confounding iDrive system." Road & Track notes that, with a few options, "you're in the neighborhood of $39,000." However, BMWs have never come cheap, and for the price you pay, you will get a BMW 2008 1-Series that, as Kelley Blue Book reminds us, it offers options like "rain-sensing windshield wipers, cruise control and a 10-speaker audio system." Also, the 1-Series convertible includes a folding cloth roof that can operate at speeds up to 30 mph, a nice feature for those on the go.